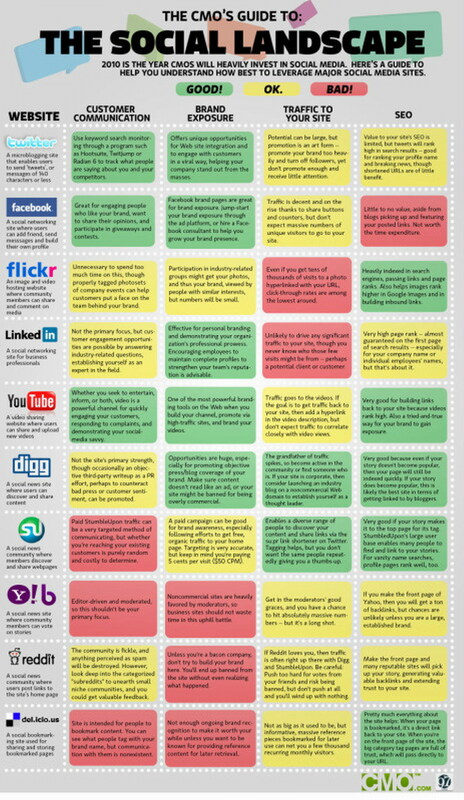 Which social media tools are your best bet? Social Media is big news and new sites are being added at an incredible rate. You've heard the names (facebook, twitter, Myspace, Digg, YouTube etc...) and probably recieved invites to join more than one. But with so many options available, how do you know which one you should be using? Visit the CMO website to download your free pdf of the chart for earlier reading. 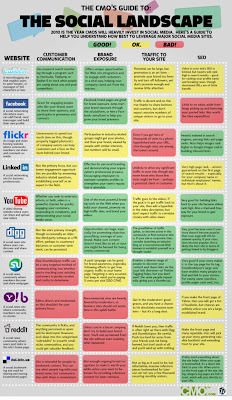 Labels: CMO's Guide to the social landscape, free resources for writers, Social Media, Which social media tools are your best bet? All these media sites cater for specific purposes and relevant marketers have also taken full advantage. This kind of marketing has led to the coming up of different methods of generating publicity from online quarters and others.